“And, if you keep my commandments and endure to the end you shall have eternal life, which gift is the greatest of all the gifts of God” (D&C 14:7). Have you ever received a special gift that made you happy? How did you show gratitude? This year, we have learned about a wonderful gift that Heavenly Father has given to His children. He gave us His Son and the plan of salvation. Remember these words from “I Will Follow God’s Plan” (Children’s Songbook, 164–65)? Heavenly Father’s plan includes many gifts. We received a body and were born to a family. With the gift of agency, we can choose between good and evil. Because of our Savior, we will be resurrected, and if we choose good, we will receive the gift of eternal life. We are blessed with prophets, revelation, prayer, scriptures, priesthood, covenants, and temple blessings. How do we show Heavenly Father that we are grateful for these gifts? Remember the next part of the song? 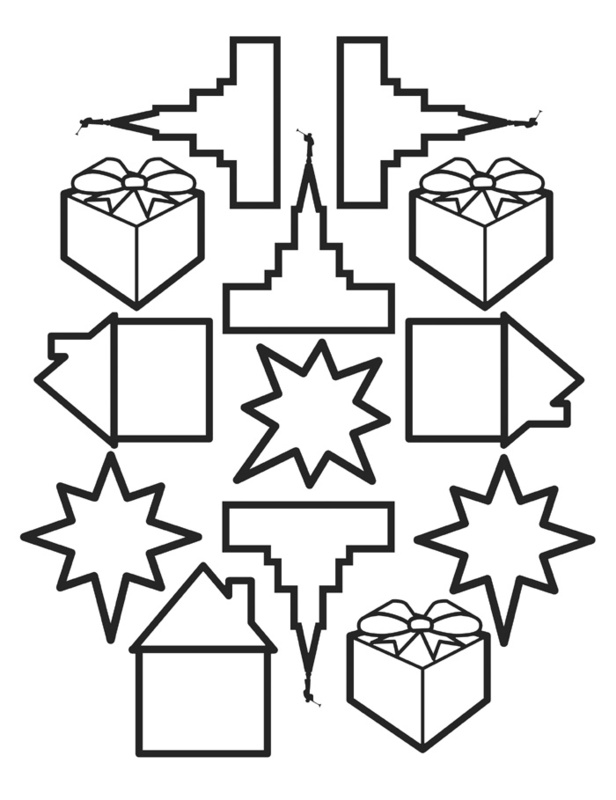 Color a small box or envelope to represent a wrapped gift. Then cut out the shapes on page F4. On the home shapes, write blessings you receive from your family. On the star shapes, write blessings you receive from the Savior. On the temple shapes, write blessings you receive by being a member of the Church. Think of other blessings to write on the gift shapes. Put all the shapes into the box or envelope. During family home evening, share the shapes and discuss the gifts we receive from Heavenly Father. This year we have learned about the plan of salvation and its many blessings. Summarize the principles and accompanying blessings that have been taught each month. Remind the children that all over the world, children are living the plan of salvation. If possible, invite a returned missionary to share an experience of children living the gospel with joy. Divide the children into groups of five or six, and seat each group in a circle. Play a game of “Remembering Blessings.” The first child says, “I am thankful for _______ .” The second child says, “I am thankful for (repeats the response of the first child and adds his or her own),” and so on. Pass out paper stars, and have the children draw a blessing. On a point of each star, punch a hole and loop a piece of string through it. Invite the children to share their Christmas ornament with their families. Tell the story of the birth of the Savior by dividing the Primary into two groups. Provide the following references﻿—Group 1: Hel. 14:1–7; 3 Ne. 1:4–21; Group 2: Luke 2:1–17. Choose a child in each group to read the scripture references as the other children role-play the story. Invite Group 1 to perform the story of Samuel the Lamanite. Invite Group 2 to perform the nativity.